Step aboard and you know you are going to enter into a unique Cruising experience. 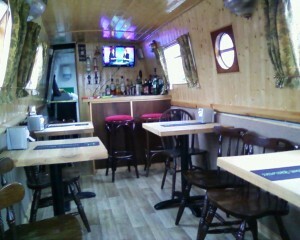 The Boat has a modern galley and Fully Licensed Bar. Book Eat Elite for your Party or Celebration. Our Skippered Trips are from a couple of hours to full days Cruise. We are a small Passenger Craft Boat with a limit of Twelve Passengers, Small, Cosy with great atmosphere!